Stepping stones are versatile and durable elements used to create outdoor play and learning settings. They can be installed linearly to create pathways or enmass to create patios or sensory gardens. 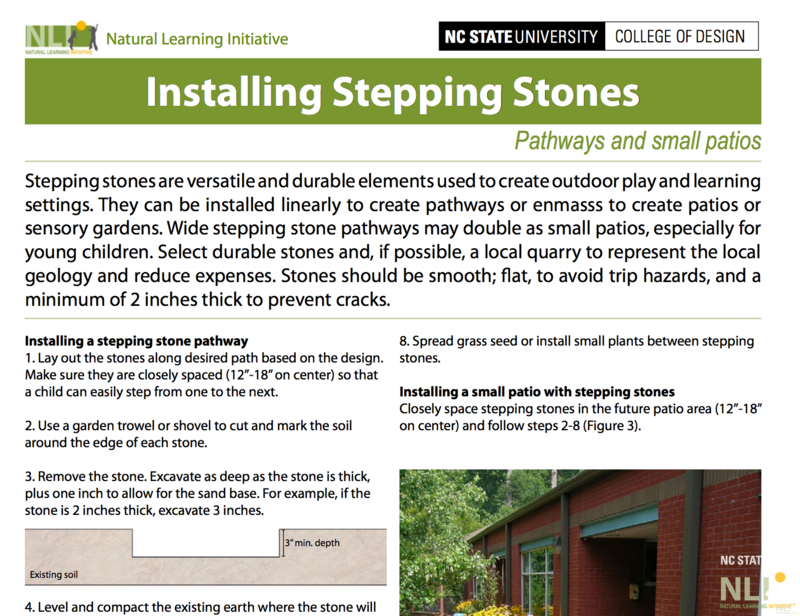 Wide stepping stone pathways may double as small patios, especially for young children. Select durable stones and, if possible, a local quarry to represent the local geology and reduce expenses. Stones should be smooth; flat, to avoid trip hazards, and a minimum of 2 inches thick to prevent cracks.